As promised this morning when standing in for Pearl on the Sunday Morning Coming Down slot on Phantom 105.2, below is the complete list of what was played on the show. I must say, I really enjoyed getting the opportunity to show my more mellow side! Great news from the latest audience figures, with Phantom continuing to gain ground (see details below). Should have some interesting news of my own on here very shortly . .
Listenership has increased right across the day with the stations’ evening drive show, Heavy Traffic, and it’s new mid morning show, Finest Worksongs, presented by Michelle Doherty recording substantial gains in listenership. 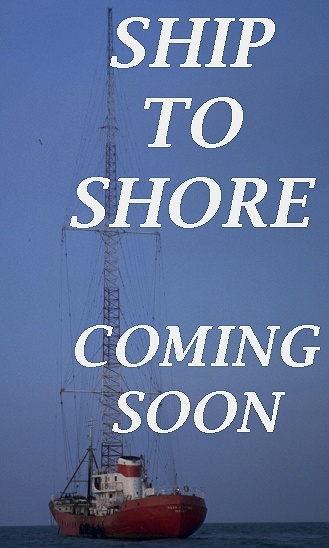 Along with my agent at Seven Towers, I’m continuing to work towards getting a publication deal for my book, which covers my involvment with Radio Caroline’s final years at sea in the late 1980s. I can’t comment on these discussions right now, but would hope to be able to announce some positive news in the near future. Meanwhile tonight (Thursday 13th November 2008) I will be reading from the book at a Seven Towers event in Dublin city centre – details below. The theme is “Winter Chill” so I will be reading a short storm sequence. Kildare poet Liam Aungier; Dublin writer and Phantom FM DJ Steve Conway; Dublin poet Catherine Ann Cullen; poet Alan Garvey; New Zealand poet Ross Hattaway; Dublin poet Anne Morgan; Kerry born, Wexford based poet, playwright, director and producer Noel Ó Briain; North Carolina poet Doog Wood. 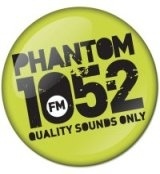 I’ll be taking a break this weekend, away from Dublin with my head buried in the book doing yet more edits, so I won’t be on-air with Phantom for the usual Random Access slot on Sunday. However, the show will air with all the usual mix of your most wanted music, so no need to miss out!